With Airwheel’s increasing popularity worldwide, Airwheel team is to take part in a series of Hungarian exhibitions, BUDAPEST MOTOR KIALLITAS, CONSTRUMA and Match-Tech & ElectroSalon. At these exhibitions, Airwheel will display its latest model, the intelligent self-balancing scooter S3, along with its classic models of X-series and Q-series, e.g. electric unicycles X3, X8 and twin-wheeled scooter Q3, Q5 and Q8. Thanks to the distinctive design and cutting-edge technology, Airwheel has been enjoying worldwide popularity since 2013 and is going to be present at a series of Hungarian exhibitions. At the exhibitions, Hungarian fans of Airwheel intelligent products will be lucky to experience various Airwheel intelligent unicycles and twin-wheeled scooters. BUDAPEST MOTOR KIALLITAS will be the first destination of Airwheel. The show, lasting from 20th March to 22nd March, is expected to attract hundreds of enterprises and some thousands of visitors. Fans, who are impatiently eager to experience Airwheel intelligent unicycles and twin-wheel scooters, are welcome to join the show. In case you missed this opportunity, the next two shows will await your visit. According to the schedule, Airwheel will also be present at CONSTRUMA and Match-Tech & ElectroSalon in Budapest, Hungary, respectively from 15th April to 19thApril and from 12th May to 15th May. 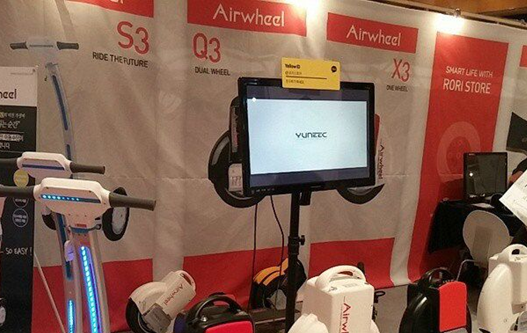 As the latest model of Airwheel, the intelligent self-balancing scooter S3 is to star in these exhibitions. The intelligent self-balancing scooter S3 is a brand new model, a great deal different from the previous models. In respect of exterior design, it is equipped with a 4in magnified LED display and its streamlined ergonomic design contributes to its sleek look. When it comes to core technology, an intelligent self-balancing system is introduced to this model, further ensuring its safety and solid performance. This model is worth a try since any beginner will be surely quick to get a hang of it. As for classic models, Airwheel X-series, i.e. X3 and X8, are also going to make an appearance at these exhibitions hand-in-hand with twin-wheeled Q-series. 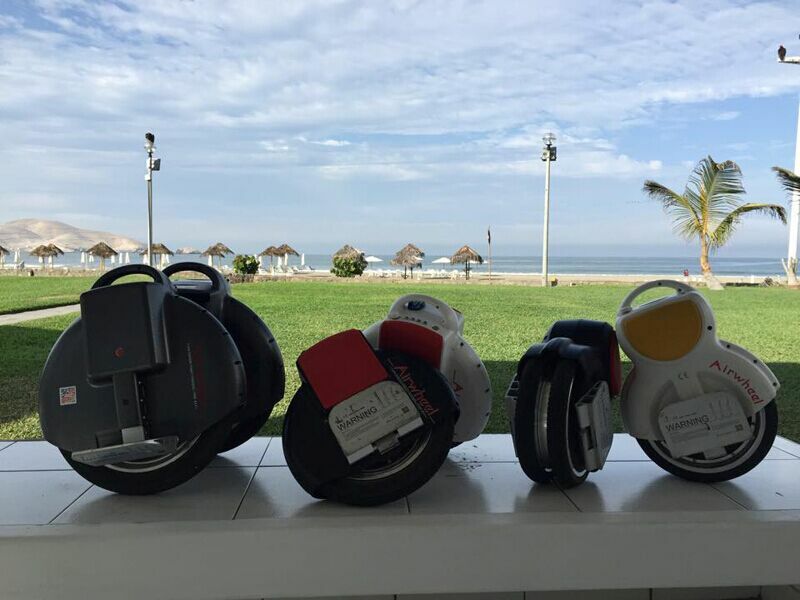 Fans will experience complete product lines of Airwheel. Airwheel electric unicycle and intelligent scooters feature portable and eco-friendly nature. They are foldable and compact so that one could carry a unicycle into subway or a bus. They won’t take up much space and, at the same time, they generate zero-emissions. Apart from these features, they are so user-friendly that it only takes a short while to learn them. During riding, user can freely manipulate to go forward by leaning forward or to back by leaning backward. If you are a fan of Airwheel intelligent unicycle or scooter, get prepared to pay a visit to these exhibitions. These exhibitions are must-sees for fans.